A scene late in Hollywoodland quietly but eloquently captures the film's enormous squandered potential. In it, Ben Affleck's rapidly aging George Reeves, having largely run out of options in Hollywood, fumbles through some martial-arts/wrestling moves, trying to prove to wrestling promoters that he's physically capable of trading in his Superman cape for a pair of wrestling tights. Affleck begins the demonstration with his usual lighthearted bonhomie, but his mood darkens as it becomes apparent that he's greatly overestimated his own physical prowess. The mind and spirit are willing, but the aching, aging body rebels at every turn. It's a heartbreaking scene where Affleck realizes that he isn't even capable of performing a disreputable gig that he probably considers beneath him in the first place. 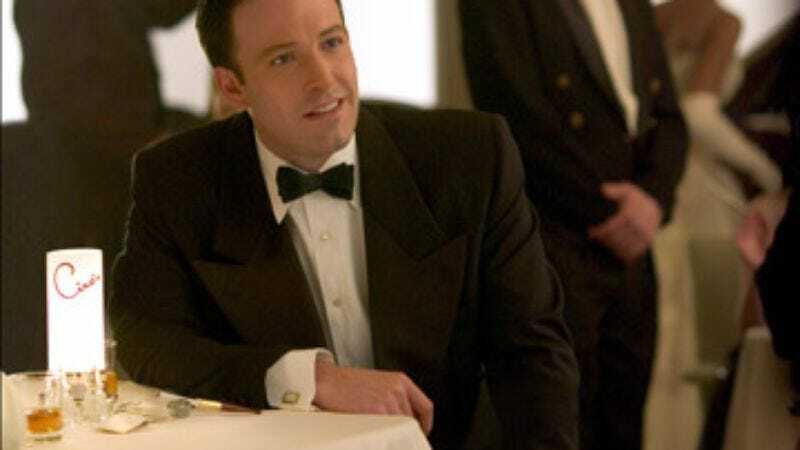 In this scene and a few others, Affleck's performance approaches the genius of Greg Kinnear's overlooked turn in the conceptually similar Bob Crane biopic Auto Focus. But for Affleck and the film, it's too little, too late: A potentially haunting character study about a beefcake pretty boy staring obsolescence in the face and blinking hard has gotten lost inside a second-rate whodunit about a low-rent shamus trying to decode Reeves' mysterious death. Adrien Brody plays the gumshoe, a sleazy publicity hound hired by Reeves' mother to find out if her son's death was murder instead of suicide. In Hollywoodland, no one is above suspicion, not even Reeves' mother, but the dominant Brody strand of the plot too often feels like ersatz James Ellroy—all attitude, hard-boiled one-liners, and secondhand cynicism. Like Affleck's performance, Hollywoodland has its affecting moments. But generally, it feels like an HBO original movie, where respectable but uninspired execution mars a fascinating subject and a great cast. (Hollywoodland boasts juicy supporting turns from Bob Hoskins and especially Robin Tunney as Affleck's tart-tongued, gold-digging lover.) So it's no surprise that Coulter and screenwriter Paul Bernbaum both come from television, with Coulter logging plenty of time on various HBO projects. Hollywoodland tries to lend tragic heft to the downward spiral of a shallow man, but ends up feeling superficial in its own right.